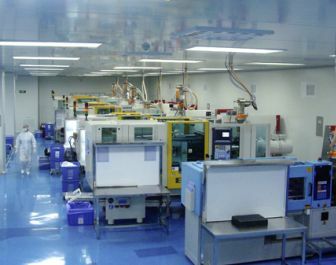 Germany-based Gerresheimer Medical Plastic has expanded its plant in Dongguan, China, which now becomes a competency center for injection molding, printing and assembly of medical devices. The company now builds price-sensitive products at its German plant in Pfreimd, and then transfers them to China by its Production Coordination Unit. Gerresheimer says two lancing devices were already successfully transferred in this way. The entire process chain for lancing devices has been set up in China, including 15 injection molding machines, two semi-automatic assembly units including welding installations and six Kent printing machines for the pad printing process. “By combining our European development and industrialization competency with the production potential in China, we are able to offer our customers customized solutions with attractive production costs,” Manfred Baumann, COO/CTO of Gerresheimer Regensburg GmbH, explained about the concept.